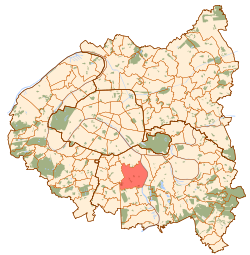 Vitry-sur-Seine (French pronunciation: ​[vi.tʁi.syʁ.sɛn]) is a commune in the sootheastren suburbs o Paris, Fraunce. ↑ "British towns twinned with French towns [via WaybackMachine.com]". Archant Community Media Ltd. Archived frae the oreeginal on 5 July 2013. Retrieved 2013-07-20. ↑ "Partnerská města Kladna" (in Czech). 1 December 2009. Retrieved 7 April 2010.